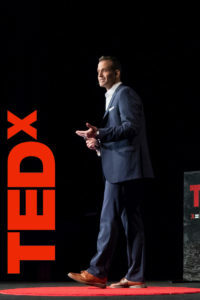 Bryan Falchuk has presented on different TEDx events across the US. 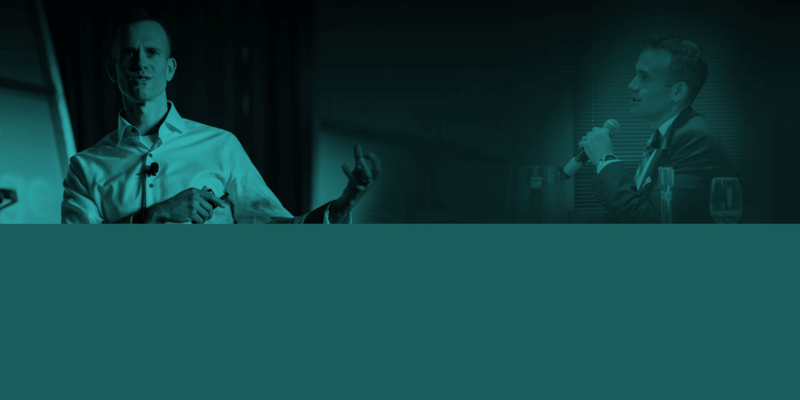 Videos from his TEDx Talks are available here. These Talks give a great glimpse into Bryan’s messages and his ability to present them in a way that resonates with his audience. Bryan is always met by a crowd after his talks, and often people are in tears as his messages strikes a chord with them. Bryan is available to speak at your next event, whether that means sharing a version of one of his TEDx talks, or something he creates specifically for your audience. He speaks on a wide range of motivational, inspirational, career, wellness and leadership topics, and can tailor his message for your event. Learn more about hiring Bryan as a speaker for your next event here. "What he had to say was on point from my perspective. Thanks for that." "I have not missed a day of running in over 20 years. Once I start a run I try not to stop until the workout is completed. Once I start, I don’t stop until I am finished. Today, I watched your TED Talk while on the treadmill. You presented your Talk just as if we were having a conversation. Your message connected so much with me that I decided to pause my workout just to send this note to you. I want you to know that I admire and respect you." Today, I watched your TED Talk while on the treadmill. You presented your Talk just as if we were having a conversation. Your message connected so much with me that I decided to send this note to you. "Bryan came over as very sincere and engaged with the subject." "Bryan's speech was fantastic and captured my attention." "Bryan did a fantastic job. he brought great energy. He was lighthearted yet with a serious message." "Bryan was very good. He stayed true to himself and was spot on with content." Bryan shared the message of “Do a Day” at TEDxBergenCommunityCollege on March 6th, 2018 in Paramus, NJ. Watch his talk here, or at YouTube. Do a Day is not just a book. It’s a philosophy. A lifestyle. It’s a way to take on any challenge, succeed, and change your life. Through Do a Day – the best selling book by Bryan Falchuk, CPT BCS – you will learn how to overcome your challenges and achieve anything in life. Bryan shares how he lost nearly 100 pounds, ran a marathon, completely changed his diet, got a masters, summited mountains, is a father and husband, dealt with chronic illness and now has written a book. These are all things that were impossible to him, and yet he’s achieved them and continues to achieve these and other things. He’s done it all through Do a Day. Can 3 Simple Numbers Rescue Troubled Relationships? We all have tough relationships. And we usually ask questions about them like, “Why are they doing this to me?” Or, “Why are they acting so badly?” Best-Selling author and certified Behavior Change Specialist Bryan Falchuk asks, what if it’s not them, but you? He doesn’t mean you are the problem per se, but whether or not you’re the reason for the difficulty in the relationship, you can still be the reason for the solution. That idea is what he calls, “The 50 75 100 Solution,” which he teaches in this TEDx talk. Starting with three Buddhist principles, Falchuk goes on to explain how these can be used to see our control and influence over the majority of any relationship dynamic, and how recognizing and using that can lead the relationship to be 100% better.